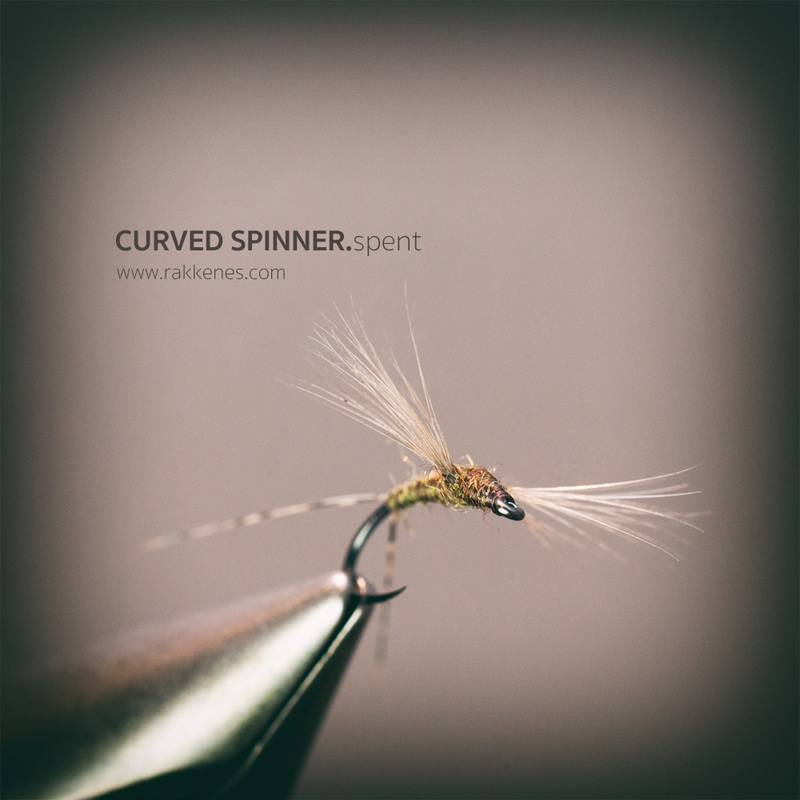 Tying a spent spinner is fairly straight forward and is probably one of the most static designs in modern fly tying. 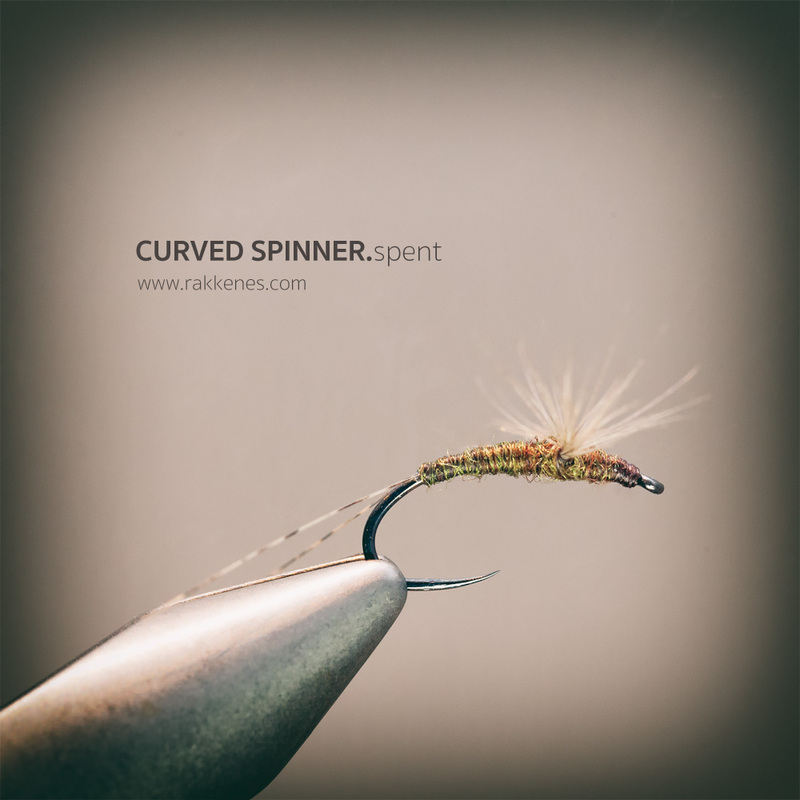 This Curved Spent spinner has a nice little wicked twist to it. 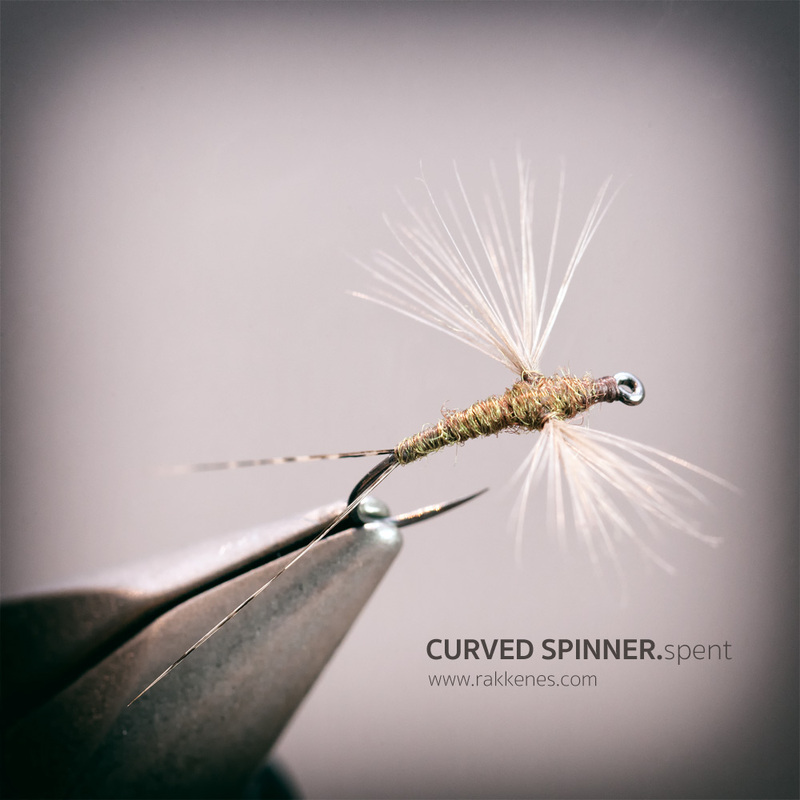 It’s tied on a curved shank to imitate those half drowned mayfly wrecks that float at the bank the morning after a spinner fall. To start with, the real difference with this fly is the profile of the shank of the hook. Instead of tying the spinner on an ordinary straight shank, I always bring with me an equal amount of curved spent spinners when fishing a spinner fall. If you study those small BWOs as they fall into the water, they often collapse totally. And if they are not taken immideately, they will curve and very often the back of the fly will float lower in the water than the abdomen. 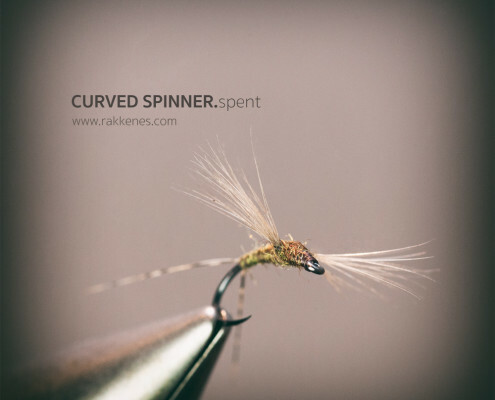 Thus the Curved Spent BWO Spinner. This pattern do fish well, and I believe marginally better than a similar pattern tied on a straight hook. Why? I guess the reason is that the fish love to cherry pick, and a body profile that breaks the film is a lower hanging fruit than the one floating just a bit higher. In my world, tied-up hackle wings are the only choice on a spent. They are durable and will not get as soaked as Organza, hackle tips or CdC. 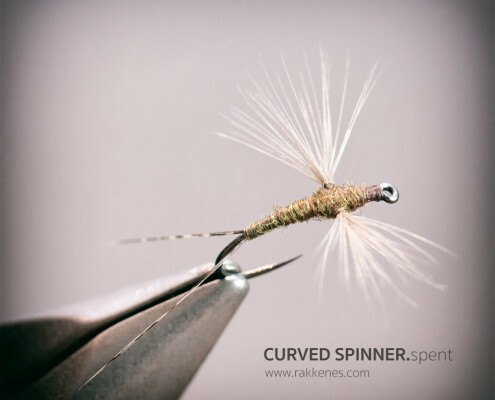 The process of tying a pair of tied-up hackle wings is more cumbersome, than all other options, but the extra time and effort will pay back in the river when all you need is a reliably fly. At first tying these wings is difficult, but after some attempts you’ll get the hang of it and never return and the other alternatives will seem inferior. Materials are listed in order of tying. Remember to twist the thread when doing the tied-up hackle wings. Do not use micro fibettes in the tail. They are to stiff for this pattern. Hackle barbs are ok as long as they are split. Interested in studying hook alternatives. Take a look at flyhooks.org – here’s the Hends BL 554 explained. Apply floatant to the upper 1/3 of the fly (including wings) and let it float freely without any movement – dead drift. The back of the fly should tilt slightly through the film. Use a long well tapered leader.